Very good quality 19th century French bookcase. 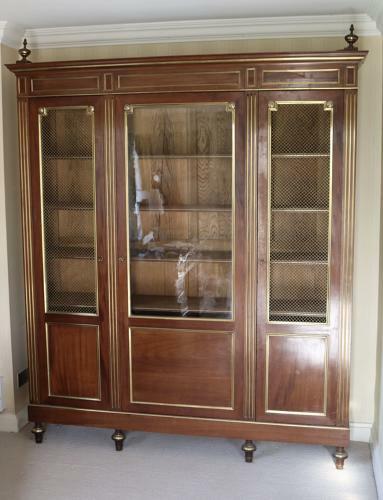 Brass inlaid and mounted body with 3 doors, 2 with brass grilles and the central door glazed (original glass). Internally there are 5 adjustable shelves and one lower one. There is an additional pediment for the top if required. Total height is 230 cm. To the top of the body it is 215 cm.